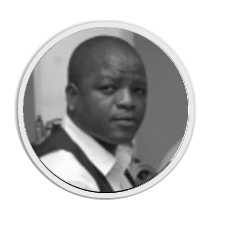 Celestino Onésimo Setucula, in addition of his current position of researcher within PEV-SADC project is also the Programs officer of Angolan Institute of Electoral System and Democracy ( Instituto Angolano de Sistemas Eleitorais e Democracia – IASED). Before that, he was Secretary of the Southern area (Namibia, Huila, Cunene and Kwando Kubango) of Inter-Ecclesial Committee for the Peace in Angola – COIEPA, from 2002 - 2004. In 2005 he was appointed by the Executive of COIEPA as National Coordinator of Civic Education Community Program, about peace and national reconciliation. In this quality, he was member of Resolution Group of the Great Lakes Conflicts, linked to State Department, in the representative of the Angolan Civil Society quality, sharing my experiences with the civil society of Tanzania, Uganda, Democratic Republic of Congo, Rwanda and Zambia, under the patronage of the African Union and of the United Nations of 2004 - 2006. In July of 2006, he was appointed as Coordinator of the National Platform of the Angolan Civil Society for the Elections, Coordinating civic education actions, holding the politician environment of the political, electoral observation, creating the data base about the Angolan electoral process and the civic education in the perspective of the respect and promotion of the human rights with the European Commission, UNDP and other regional and international donors support. He participated in many conferences about the civic education and resolution of electoral conflicts in Europe (France) and countries of Southern Africa (SADC). He also did electoral observation mission in Tanzania, Zambia, South Africa on General and Presidential Election. Onésimo Setucula speaks Portuguese, English and National Language Umbundu.